I just had a hankering to play with my Blue and Yellow watercolors. To experiment with stripes of each blue and then adding a yellow wash on each blue to see how they looked. I let the blue completely dry . Then added a medium wash of each yellow with out disturbing the bottom color. This way the bottom color shows through the top color and changes the look. This is a bit different from what I usually do in my paintings.. Typically I bring two colors side by side and let them mingle and do their thing, and or mix it in the palette. I’ve added the beginnings of this project below. Which began with just drawing lines, adding the painting name at the top and sides. Then proceeded painting each blue, after they where totally dry did a medium wash of yellow over the blue. I think lighter washes would probably work better. When this technique is done right it can be so beautiful. So What Do YOU Do to get your creative juices going? This has been the case for me this year. So to just get things going again I pulled out my zentangle kit and started to mindful scribble and incorporate some watercolor to give it a bit of color. They are not big and or time-consuming it is just enough to focus on something. 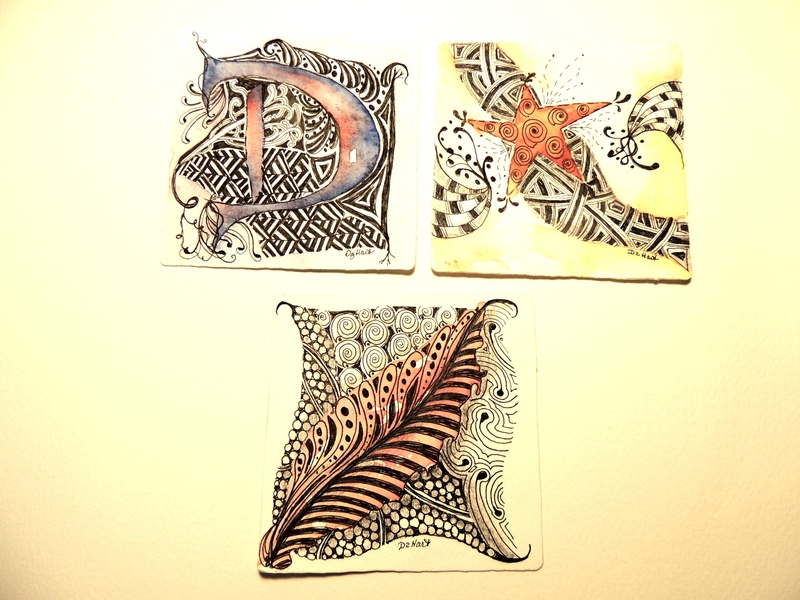 Start it and finish it, these little scribbles are only 2 x 2 inches in size. How fun it was, in the past I only did ink and pencil but to incorporate watercolor was the punch I needed. I think this will be something I pursue in the future in a large design. For now, I’ll just enjoy the quality of this meditation in art. 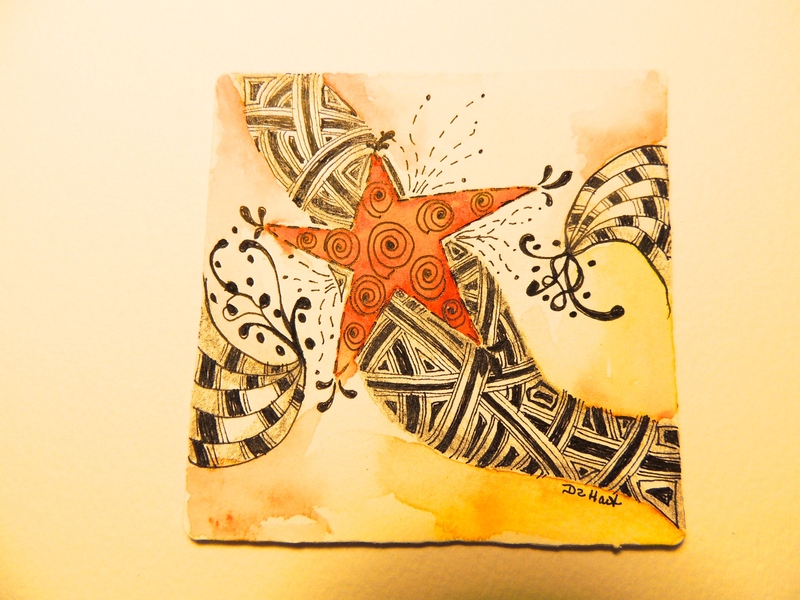 Zentangles typically have no “plan” you just block off areas and add lines and squiggles. So it always interesting to see where you end up and the journey there. Always fun, this is just what I needed to get rolling again.. Back to the “mouse colors” with a Zentangle here and there.. So what do you do? would love to hear from those who do arts or crafts. Have a great week! 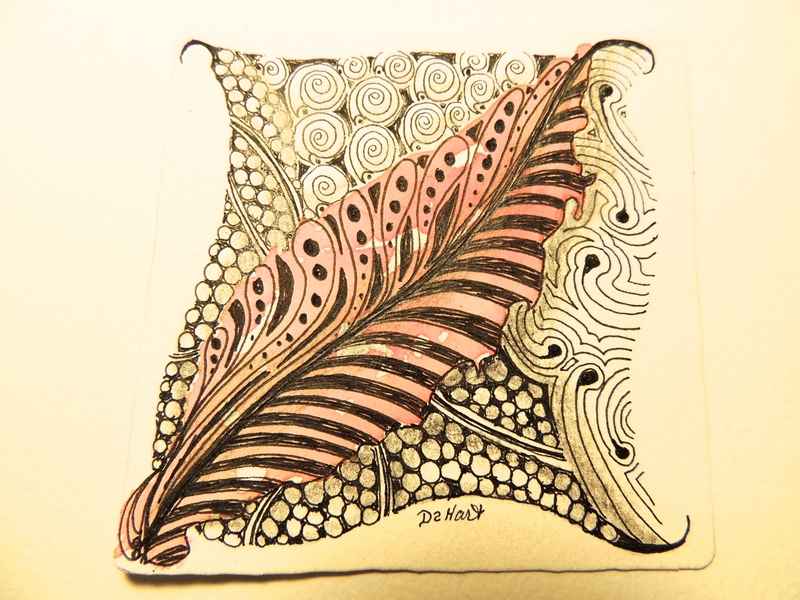 Posted on November 5, 2014 November 5, 2014 Categories 2014 Paintings, LearningTags colors, diane hart, Zentangle ArtLeave a comment on So What Do YOU Do to get your creative juices going?